Lighthouses were one of the few ways to safely guide people throughout North Carolina's treacherous waterways. From the lethal shores of the Outer Banks to the Graveyard of the Atlantic, to the freshwater rivers, North Carolian claimed many ships and boats. 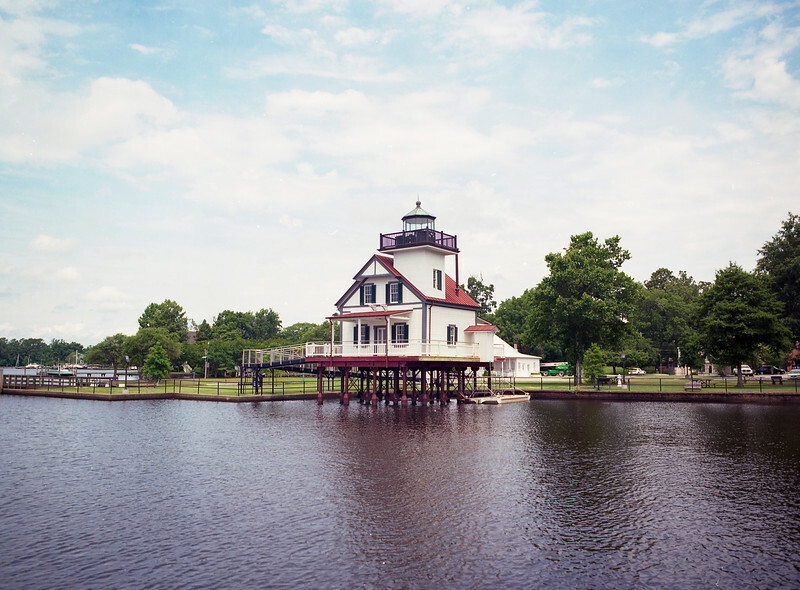 Roanoke River Light is one such lighthouse. Originally a lightship, several lighthouses were built over the years. The current light was built in 1887, and was moved to a new location in 1955. In 2007 it was moved again to its current location in Edenton, NC.